My Storyline Skylines are visual histories, wrapping up those moments that are retold and relived a million times. Whether it includes a subtle reference to that infamous game of mini-golf, the magic of New York City in the snow at Christmas, that romantic proposal or the annual trip to the Northumberland coast, Storyline Skylines spark a hundred memories, designed to make you smile each time you see it. 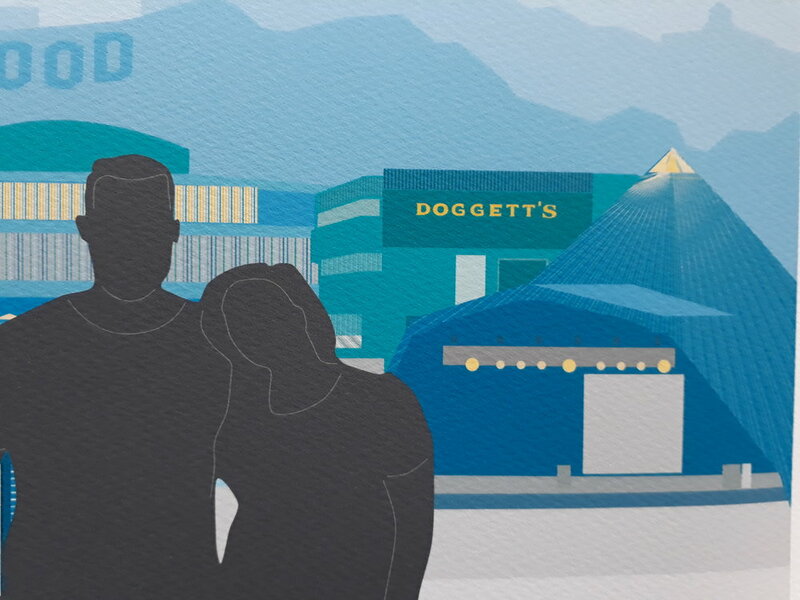 Commissioned as a wedding gift for a sister and brother-in-law to be, this story contains subtle details and includes the places the couple met, got engaged and the wedding venue. Colours reflected the wedding palette and their home decor. The Story of Us is for a couple featuring memorable moments in their relationship - from their first date to favourite places and holidays, as well as objects to reference particular dates. The colours were chosen to suit their home decor. 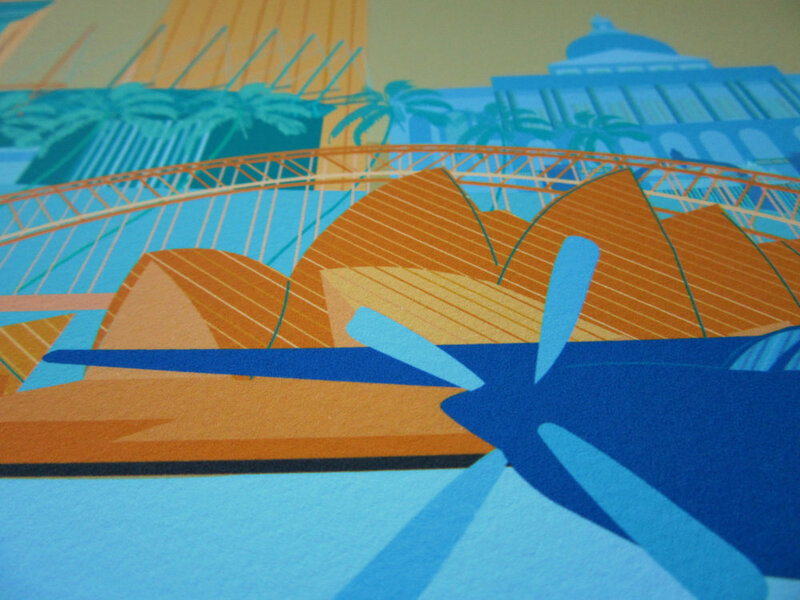 A bespoke print commissioned for a very special landmark birthday. This print is the story of three generations and over 40 years of family life, with a skyline made up of both places visited and homes lived in. A silhouette was drawn for each member of the family. 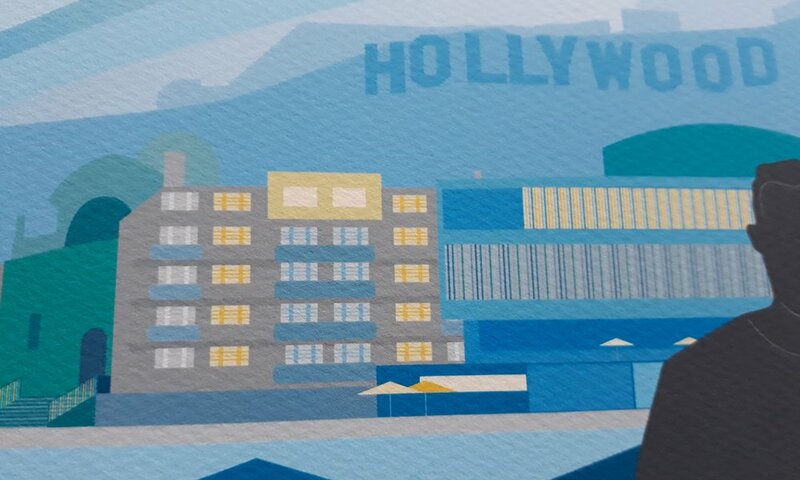 An art print commissioned to celebrate two milestones, an engagement and a landmark birthday. This print celebrates special milestones in the couple's relationship, each represented by a location. 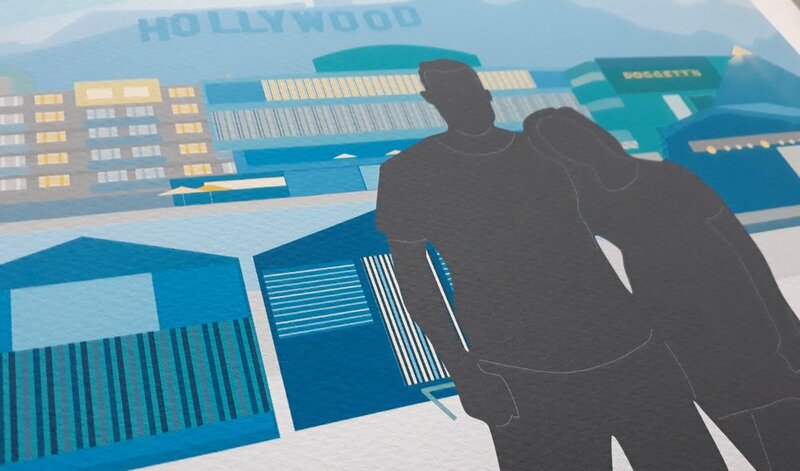 The skyline was created in layers as a backdrop to their silhouette.